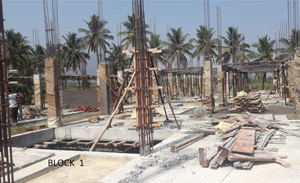 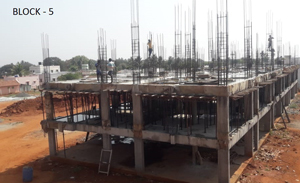 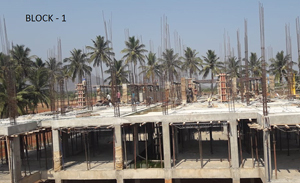 Column concreting for 45 Nos is completed in second floor, Steel fabrication work is completed for the remaining columns and shuttering work is in progress for the remaining columns in second floor. 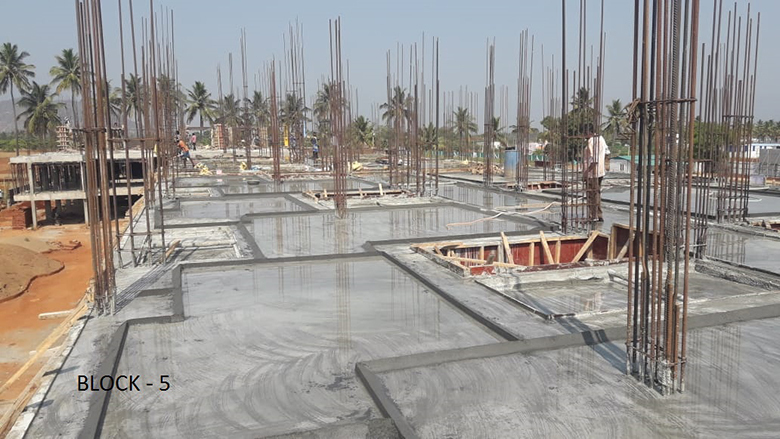 Second floor roof slab shuttering work is in progress. 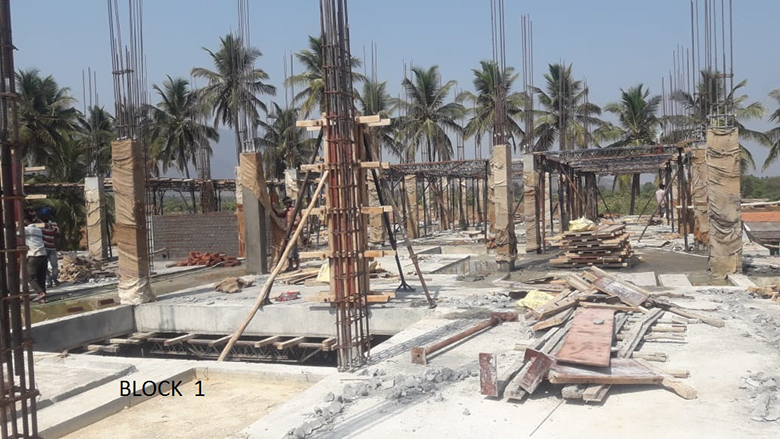 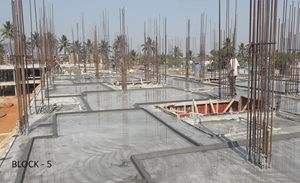 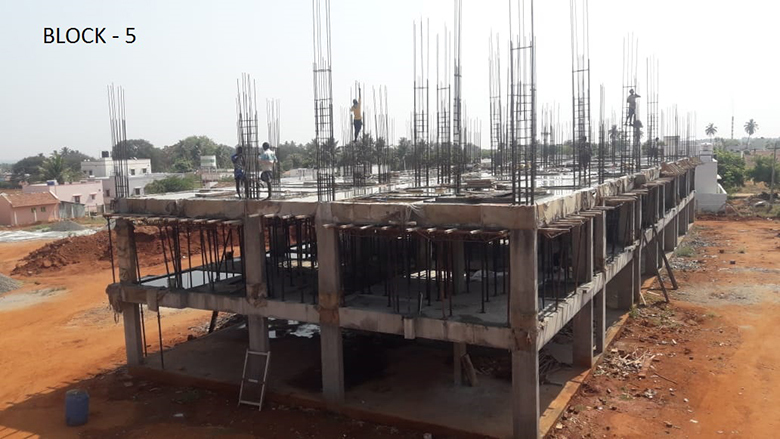 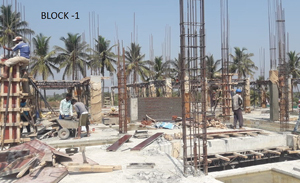 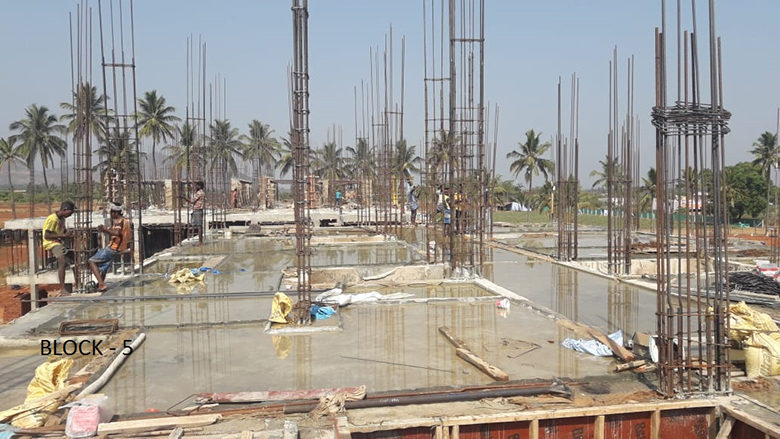 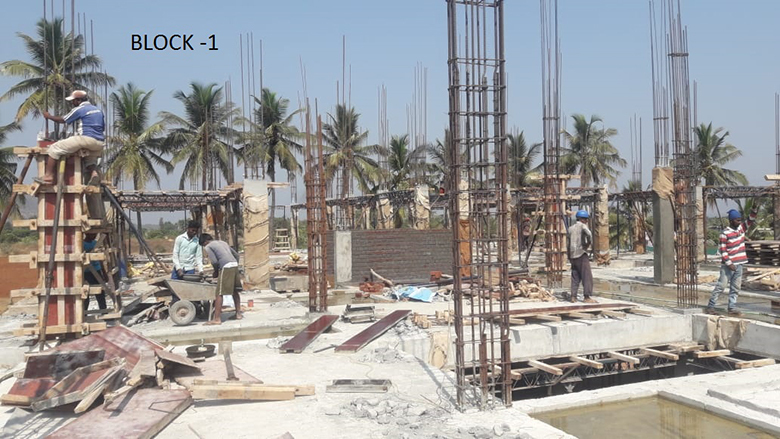 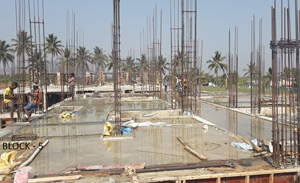 Casting of First Floor roof slab is completed. 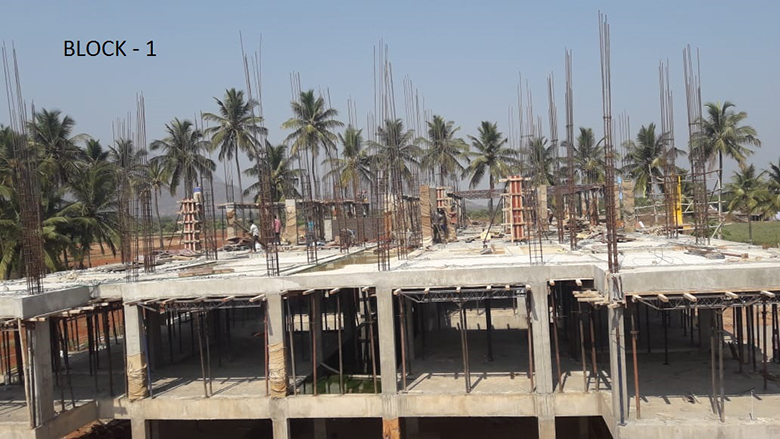 Fabrication of steel work for columns in second floor is in progress. 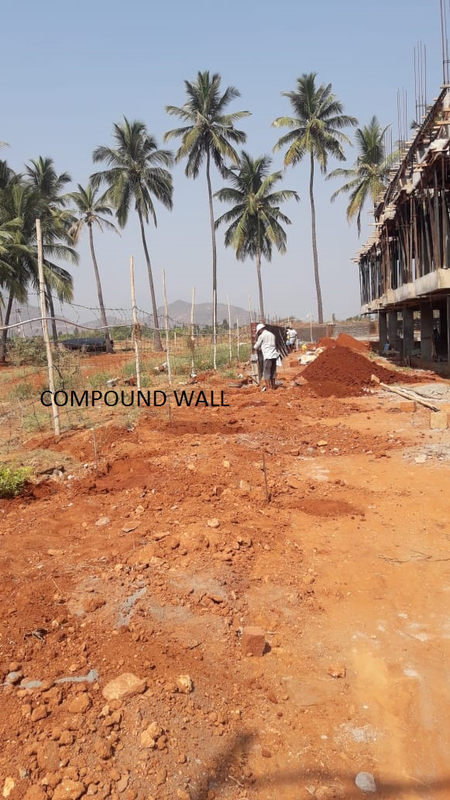 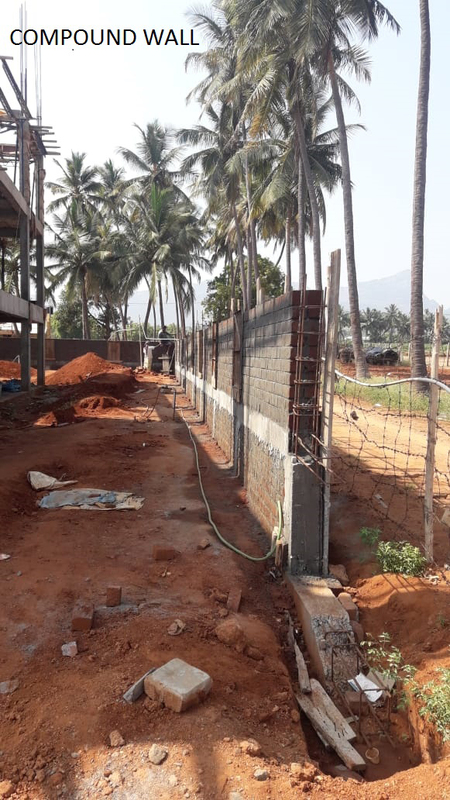 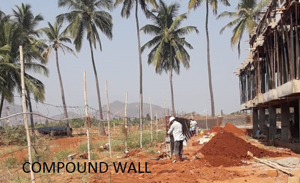 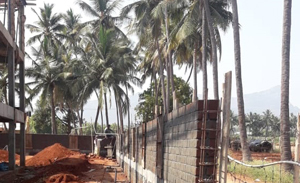 Perimeter Compound Wall work is in progress.